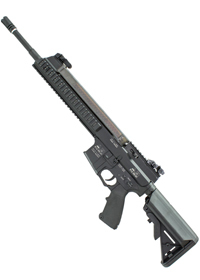 AY Airsoft has some of the most gorgeous rifles and pistols ever created for the sport. From the vintage to the modern, if it wasn't for the law-required orange tip, you might not be able to tell these weapons from the real thing. This is what you need when it comes to airsoft guns and accessories, to intimidate the competition and look bad-to-the-bone out on the field. AY specializes in realistic models from around the world including some of the greatest Russian rifles ever conceived and all the way to the M4 and the M1918 Browning. These are beautiful guns with finely polished imitation wood stocks and actual metal plus polymer construction - guns that will stand up against all of the rough treatment that you are bound to put them through if you take them out into the woods or onto the competition field. Why Buy AY Guns & Accessories From iWholesales? There are lots of places to buy AY guns and accessories, but there is no better place than iWholesales. We have the lowest prices that you'll find anywhere, on the web or in brick-and-mortars. We also have the best customer service of any other supplier. You can contact us anytime that you have a problem and we'll work hard to resolve it. 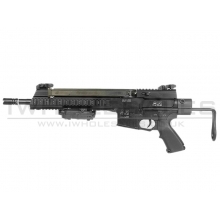 We care about our customers and since we are involved in the sport itself as well as the buying and selling aspect of it, we know what you want from an airsoft supplier. When you buy from a store that doesn't specialize in airsoft you don't know what you are getting. You don't want to go into combat with cheap, unreliable weapons, you want the highest quality and the top-of-the-line brands like AY, one of the best-loved and highest rated models on the market today. We'll Give You the Best Products at the Lowest Prices! You don't need to look elsewhere for the best deal. We are called iWholesales for a reason. Our rock bottom prices for bulk purchases is easy on your budget and you'll still get the highest quality products available. When you need a great deal on the best brands, shop with us. When it comes to the quality products that AY has, we have a great selection, including rifles, accessories, gear and ammunition. Whatever you need from AY, we'll either have it or we'll try to get it, because we're here to give you the best possible airsoft products at the lowest price and great customer service is included in the sale. 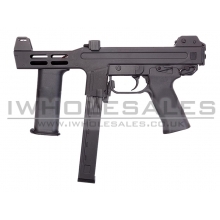 AY Spectre M4 SMG AEG ..
AY SR-3M Vikhr AEG (Metal) - Comes with metal and no marking Receiver AY have done it again w..
AY AR-57 AEG with M231 (Skeleton) Stock (Black) (A0003) - One Piece CNC Made Upper Receiver &..